Why Material Handling is so Important? The organization of your warehouse can make or break your business and because of that, one must create a safe and efficient transport of their products from one area of the warehouse to another. 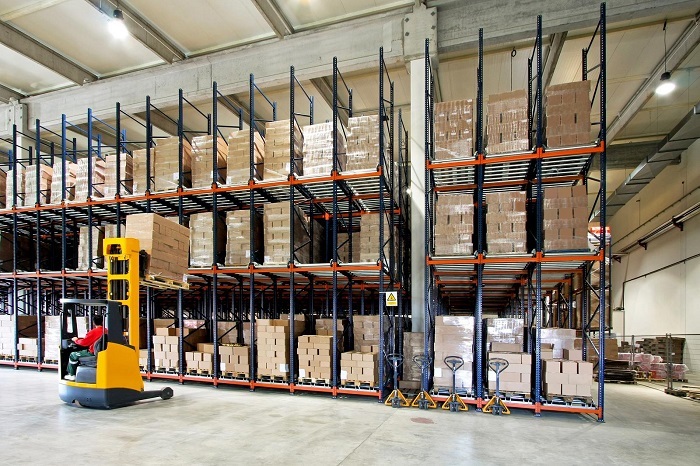 This process of moving, controlling, and protecting the stored items is known as material handling and is fundamental to having a successful business. All goods and items need to be safe and well protected as to reach their destination in perfect condition and this can be achieved only by investing in quality material handling equipment. So, if you want to run a successful business, and have a safe warehouse, you need to make sure you don’t miss out on this aspect. According to Safework Australia’s latest workers statistics, “body stresses” (related to lifting or carrying heavy objects) is the leading cause of injuries in the workplace. The ideal way to avoid these types of injuries is to have the right material handling equipment (cart, a trolley, crane, portable clamping stand, etc) along with a highly professional and well-trained staff. Moreover, having good material handling can help you have a safe warehouse since your staff will waste less time and energy lifting objects. That way, you would be able to keep them safe and more productive, while being able to save some money. There is not a single company that wants to deal with product loss or damage in their warehouse since this is sure to decrease their profit as well as their reputation. That is why you need to prevent this by implementing good material handling equipment. Except for being able to lift and carry more things at once (which gets the job done more quickly), handling materials the right way can help you keep your warehouse more organized and that leads to prompt service and higher customer satisfaction. Lastly, having your products neatly organized can not only create a safe working environment for your employees, but also provide easy access. Providing your employees with a safe environment will also result in them being less absent and more efficient, as well as to remain motivated to work. In addition, they’ll also have a lower risk of long-term illness. All in all, investing in this type of equipment is a smart decision and quite beneficial to the business as a whole, including both the customers and the workers (and for you as an owner too) which in turn is to result in a general peace of mind and security.